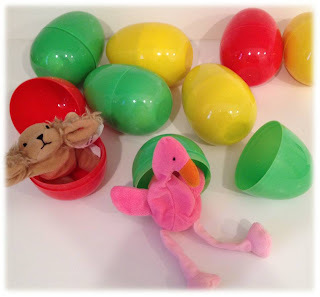 Earlier this week, I posted several items that I made or used in my lessons about birds and eggs. Today, I am posting links and apps to use as resources for your speech and language activities. In my early childhood special education classrooms, I sometimes used Sesame Street video clips when introducing themes or concepts. Here are links to three videos related to birds and eggs. If you need some photographs of birds, download 25 FREE bird cards at Tired, Need Sleep. If using an Interactive White Board, Chateau Meddybemps is a great site! 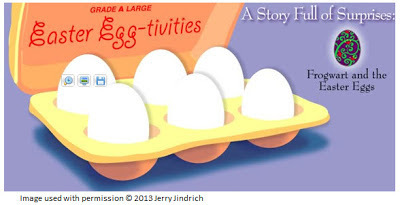 Find eggs, decorate eggs, read an egg story and more! 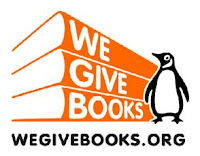 Visit Tarheel Reader to find many books with wonderful pictures about birds and eggs. 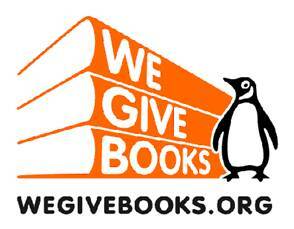 Read the books on-line, download and print, or read on your tablet. My books, seen on the right, can be read on my iPad in iBooks. Birds Kingdom Free is a bird encyclopedia. Find photographs and detailed descriptions of all sorts of birds. Photographs and drawings of birds. Listen to the actual sounds that the birds make as well as the pronunciation of the bird's name. Eggscapade - Free Storybook & Game for Kids by Mamanijo Cute story, but I liked the game. Let student's tell how to obtain the appropriate designs. Expand sentences, follow and give directions, and ask and answer questions. Bunnyfur's Easter Eggs by Interactive Touch, Inc.
Focus on early developing speech and language skills while reading this interactive story. Build bunnies, decorate eggs, fill baskets with cookies and candy, and hide eggs all over the yard!